I don't think anyone will disagree with me when I say times sure are different now than, say sixty or more years ago. Many time saving machines have been invented but do women work less now than back then or do they work more? I came up with a few points to ponder. Does 'the average' (I know she doesn't exist) woman work harder than sixty years ago? How would you measure this? Do you just record how many hours she spends at a paid job? Sixty plus years ago fewer women were in paid employment. Do you add in travelling time to and from work, or does that depend on whether a woman is driving herself or using public transport? 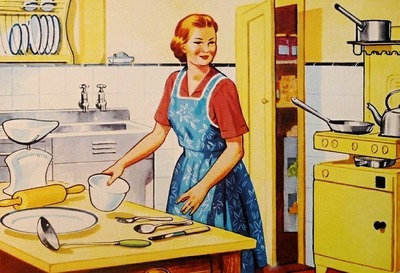 Do you count up all the hours a woman spends on housework and caring for others? Do you include volunteer work such as helping out at her children's school? Another thing to consider is not just the hours spent on paid employment, housework and caring responsibilities. Some tasks are not as physically hard as in the past. Women often chopped wood for the wood stove and open fire places in other rooms of the house. Women caught the chooks and killed them before plucking and cooking them, especially if they lived in the country. All the convenience and takeaway meals of modern life were not available back then. Occasionally one had fish and chips from a shop as a treat but this was rare. 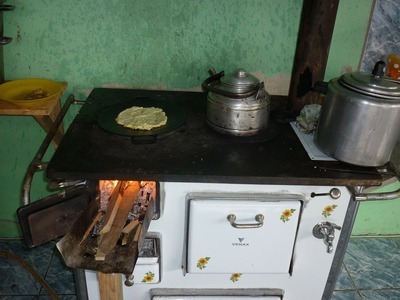 Cooking involved more work as there weren't all the packet and frozen goods and cooking sauces in a jar back then. Women often sewed clothes and furnishings for the house. More scrubbing was needed to keep a house clean. Washing clothes involved boiling the copper for hot water and using a wringer. There were no automatic washing machines or tumble dryers. Today there are many modern conveniences which make housework quicker and less strenuous. However, all these appliances, along with computers, phones, home theatres and other modern inventions have to be paid for. Some items are bought on credit adding to the cost. These conveniences may need maintenance or to be replaced a few years down the track. Appliances are not made to last. Insurance is an added expense. Often both partners in a relationship need to earn money to cover all the costs. Single women have to earn their own money. After spending all day at work a woman will need to put in time on tasks at home. Some get quite a lot of help, others don't. It makes me wonder if women these days work less or more than say, sixty years ago. Do you have pet insurance to help pay vet bills?